Epson Robots has launched a new “ultra-low-cost robot” at the Automate Show, which started today in Chicago, USA. The new VT6L All-in-One 6-Axis robot is a new “entry-level” machine offering to the award-winning 6-Axis line up. Epson says this robot is compact, easy to install and includes next-generation technology, adding that it is “ideal” for a wide range of simple applications and is offered at the “ultra-low cost of $13,900”. 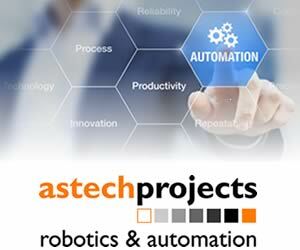 Available in June, the VT6L robot will be showcased at Automate, McCormick Convention Center, April 8-11 at Epson Robots booth #7566. The VT6L is ideal for simple parts transfer applications such as machine-tool and injection molding load/unload, pick-and-place, dispensing and simple assembly projects. The All-in-One design with built-in controller saves on valuable factory space while its SlimLine structure featuring a compact wrist pitch enables access to hard-to-reach areas in confined spaces. This groundbreaking innovation opens a world of application opportunities due to its incredible price and ease of use. Many applications that were too costly to implement with standard 6-Axis robots, will now be possible, claims Epson. 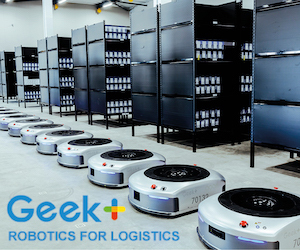 Gregg Brunnick, director of product management for Epson Robots, says: “The VT6L was created based on the highly successful T-Series All-in-One design with built-in controller. The VT6L offers easy integration tools such as vision guidance, with a reach up to 900 mm and a payload up to 6 kg. A feature-packed performer, it includes a hollow end-of-arm design for simplified cabling and more versatile tooling. The VT6L offers 110 V and 220 V power and installs in minutes. In addition, there is no battery required for the encoder, reducing the overall cost of ownership.